Novi Sad Voluntary Service has supported 40 different activities related to sport, culture, youth work, health care and environmental protection since May this year. This platform includes more than 500 volunteers, and there has been more than 3000 voluntary hours so far. The results of the platform were presented during the ‘Energy of Volunteering’ conference held in the Egység Cultural Station. ‘The interesting part is that we have started to count and analyse data on how many volunteers we have, to which extent they are engaged and in which fields they work. It is an interesting thing that can present the value of voluntary work’, said Mr Vojislav Prkosovački, coordinator of the Novi Sad Voluntary Service. 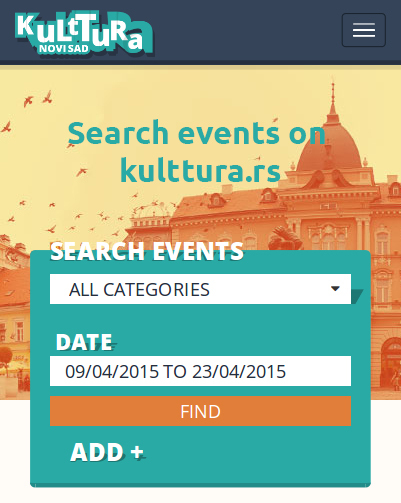 The Novi Sad Voluntary Service (NVS) is a platform for organising voluntary work in Novi Sad. It has been created as an initiative of the European Youth Capital 2019 and European Capital of Culture 2021, and the motive for creating the service is the need to have a volunteer staff during the implementation of the activities of the capitals. ‘We have showed that when we share resources and when, as two capitals, we work together, we can establish permanent mechanisms in order to improve youth policy in Novi Sad. For us, it is important that the Novi Sad Voluntary Service is part of the youth policy. 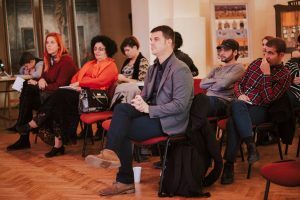 Our goal is to improve the system and create mechanisms so that young people can see improvements made by the system that is working for them,’ said Mr Vukašin Grozdanović, coordinator of the ‘OPENS 2019’ project, adding that there has been a lot of voluntary activities this year, which NVS managed to keep up with. ‘We have showed that such service can function, work and be useful for different institutions or organisations, and we have to see how it can become the permanent city service in the following period, making it the model for permanent, sustainable solution. We would like to see how it will be financed in the future as well’. The local voluntary service, through its promotional programme, should stress the benefits of voluntary work, directing local partners towards education and training of skills in the field of voluntary management. Therefore, the goal behind the establishment of the Novi Sad Voluntary Service is to develop unique local centre for voluntary work. ‘Co-management is important when it comes to the programme of the two capitals. There are numerous points of contact, as well as cooperation between two processes. Cooperation of two capitals on projects showed that there is need and permanent partner in the process. 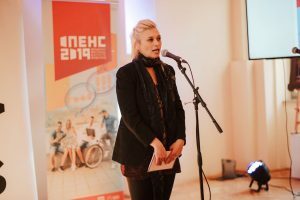 The NVS is a long-term project, thus it is the first legacy of cooperation between the two capitals’, said Ms Milica Rašković, coordinator for developmental projects in the ‘Novi Sad 2021 – European Capital of Culture’ Foundation.